place on October 5th and 6th. 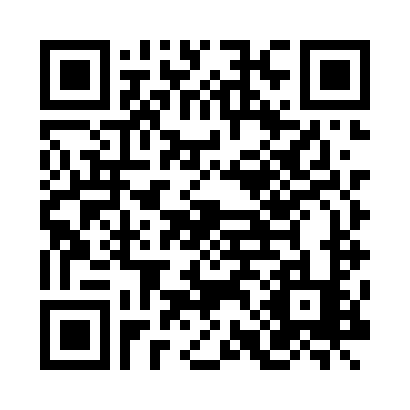 If you want to access to this website by your mobile phone any time, scan this QR code. Accesses - Routes: On the first day, there will be 2 routes, of 20 and 30 km. On the second day, there will be 3 routes, of 20, 30, and 40 km. (aprox). 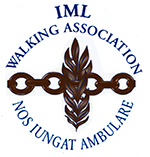 Every day there will also be a Barnatresc International marked route for IML members older than 70, with the same conditions as the 20 or 30 km routes. - Kind of ground: All the routes combine urban and non-urban sections of different lengths. 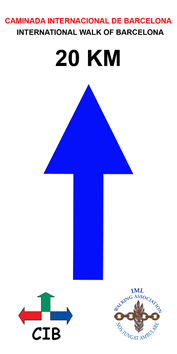 - Drops: In some of the routes, the accumulated drops (up and down) are important. Consult the drop profiles that can be found in the map of each route. - Routes: they are in the map, as well as the signs of the provisioning controls, of the pass controls, etc. - Pass controls, provisioning controls, services and health care: there are in all the routes, and their positions appear in the map. Each one has its own timetable. NOTE: Bad weather conditions and rain will not cancel or postpone the walk. But, if there is any really important cause, even at the last time, routes or sections of them can be cancelled or modified. NEW: After a really good experience in 2018, on October 6th there will be a new option. It's a route of about 40 km. The information can be found in the route section of October 6th. It's a wonderful option for long-distance walkers that allows us to include the CIB at the same level as other walks of the IML that nowadays are offering this kind of options. - The end time for all routes is at 6.00 pm. - Walkers older than 70 or younger than 10, if they want to, can participate in the Barnatresc Internacional routes, because, according to the rules of the IML, it will be valid to get the assistance control in their IML passports. Those people must register themselves as if they were going to walk 20 or 30 km routes and pay the fee established. - Those who have the Barnatresc card can walk the 20 km routes as Barnatresc walks (look note in the section for Barnatresc and its rules). Every day, is from 9 to 9.30 am. Every day, it will be at 1 pm. Registrations can only be made individually, not in group. From September 2th to October 3rd, 2019 at 9pm. Once filled the registration form and payed, you will receive an email from Paypal that confirms that the registration and the payment have been made (even if you pay by Visa, Master Card, etc.). Tutorial to pay the registration by credit card here. 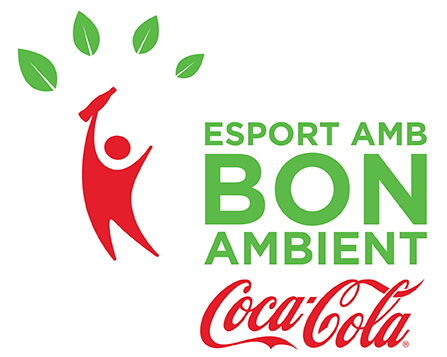 If you do not receive any of those emails, please send an email (before October 3rd, 2019, at 9 pm) to caminba@euro-senders.com to confirm that the registration has been made properly. Do not wait and send this email as soon as possible. 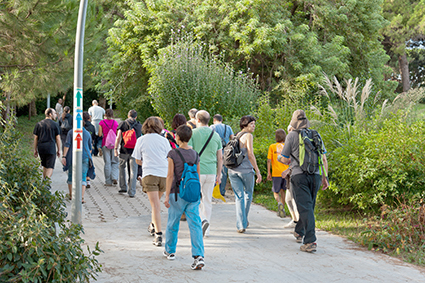 - Before the start of the walk, walkers must go to the Auditori del Centre Cívic Cotxeres de Sants to collect the control sheet and the guide of the walk (with the maps). Walkers must show the email from Paypal. You must collect the Control form, because you must show it at the start and end of the walk in order that your bar code could be read. It will also be useful for you to mark the pass in all the controls of the route. Those marks will prove that you've walked 20, 30 or 40 km, what will let you have the diploma and/or the medal and, also, the stamp for the IML and/or IVV, and to get the Master CIB. This registration procedure is a mechanical one, and the email is generated automatically. That's why walkers must take into account that some Internet servers identify this kind of emails as non-desired mail. Please, check your non-desired mail folder before sending an email asking for confirmation. Please, do not wait to solve this kind of problems in person. IMPORTANT: If, after registrating, you need to make any kind of change, do not make a new registration. You have to send an email to caminba@euro-senders.com with all your personal data and the change you need to do. This email address is just to inform about changes o to ask for information, not for regsitrations. Registrations will be made on October 4th, from 5pm to 8pm, as well as on October 5th until the end of the start time of the chosen route. - Registrations to the 20 km route could be made on October 4th, from 5 pm to 8 pm; on October 5th until 8am, and on October 6th until the end of the start time. - Registrations to the 30 and 40 km routes could be made on October 4th, from 5pm to 8 pm, and on October 5th until 8am. made and paid via internet (PAYPAL) or (VISA via Paypal)): 15€ per person. made in person: 20€ per person. It includes: the participation in the routes of both days, the stablished provisionings, an accident insurance, and the needed documents to make the walks. 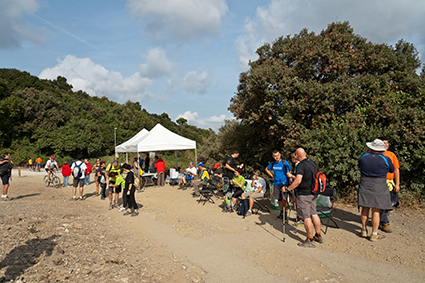 Registrations to 30 and 40 km routes on October 6th require an extra fee of 8€ (to add to the registration fee) to cover the cost of the trip by bus on the neutralized section of those routes. This extra 8€ fee for the access to the bus (for both routes) will have been paid with the registration. This registration will end on October 5th, at 8am. According to the rules of the event, to walk those routes it's compulsory to make this bus trip until the place that walkers will start to walk. The organization cannot guarantee a place in the bus to those walkers who have not registered according to the established rules. (time and way). 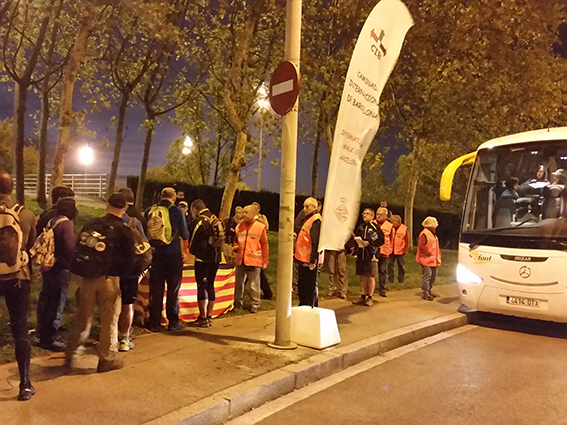 The buses for the 30 km route of October 6th will leave from Sant Cugat del Vallès at 6.30am to 7 am from the same place (Passeig Sant Antoni / Alcolea, Metro L1 and L5 Plaça de Sants). 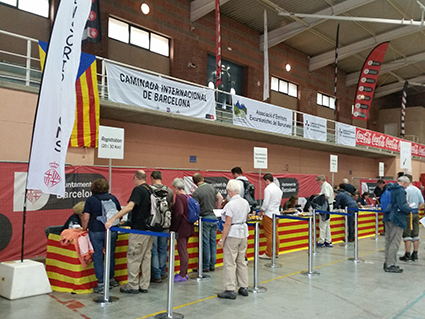 Walkers will be able to collect all papers on October 4th and 5th in the Auditori del Centre Cívic Cotxeres de Sants, 79 Sants street, Barcelona (Metro L1 and L5 Plaça de Sants) or next to the bus on October 6th. The Barnatresc Internacional routes of both days are part of the calendar of Barnatresc. They have the same rules than the other events that belong to this calendar. - No previous registration, no registration fees. - To participate, walkers must have the official card of Barnatresc. - To have a valid participation on the Barnatresc, walkers must show the card and its bar code to the lectors placed at the beginning and end of the event. HOW TO GET A BARNATRESC CARD? 1) Those who have never participated in Barnatresc walks only have to go to the start place before the start time and to facilitate all the needed personal data in the registration point. One of our volunteers will fill in the sheet and will give you the Barnatresc card. On the start point, other volunteers will give you the map and the information of the walk. 2) Those who have participated before in other Barnatresc walks but, at the start point, do not have the Barnatresc card (they have lost it or they have forgot it at home) must follow the same procedure as if they have not participated before. They must take into account that the new card will cancel the old one in our database. So, from that moment on, the only valid participations will be the ones made with the new card. Barnatresc card must be used in all Barnatresc walks. There's no other way to have it than to participate in a Barnatresc walk. The Barnatresc card will be made, every day, only at the beginning of the Barnatresc walks. Start time will be from 9am to 9:30am every day. The end time will be at 1pm, also everyday. 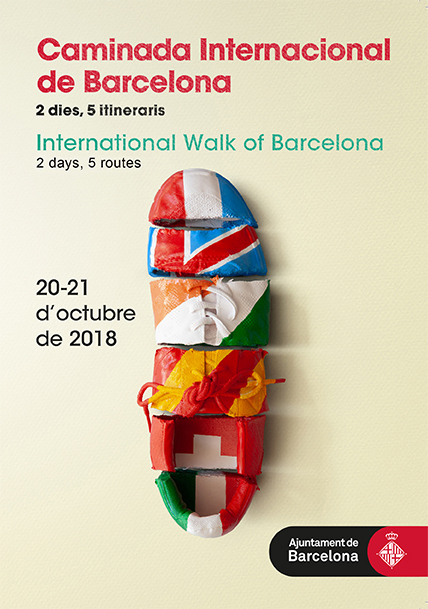 This timetable is valid for all Barnatresc walks, like the International one. .
- They must register in the International Walk of Barcelona for 20 km routes. They can only registrate in person, not online. - To pass the start register you must show the bar code of the control form given during the registration. - In the 20 km pass controls, they will read again your bar code and, also, they will mark your form according you've been in that control. It will justify at the end of the walk which route you've walked and collect the diploma. - A valid participation is when your bar code has been read three times (beginning, pass controls, and end). If there's any missing, it will not be a valid participation. There, walkers will be able to find all the needed information about the walks. Those walkers registered via internet must collect all before starting walking in the registration point. Those who will register in person will collect all with the registration. The identifier is a plastic cover with a ribbon in order to carry the route form comfortably. The route form is necessary in order to participate in all the routes, and it is used to credit the pass in the established controls. 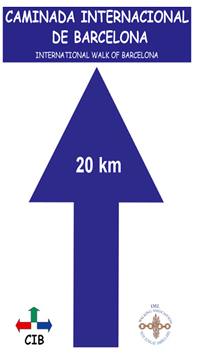 The same form will be used for both days for 20 and 30 km routes . - Walkers who have registered via internet must collect the route form and the guide on October 4th from 5pm to 8pm, October 5th until the end of the walk, or October 6th (for the 20km route, until the start time; for the 30 and 40 km routes, next to the bus),Auditori del Centre Cívic Cotxeres de Sants, 79 Sants street, Barcelona (Metro L1 and L5 Plaça de Sants). .- Those participants who will register there in person will have it at that very same moment. - Every walker must show their route card with the proves of having passed by all the established controls of the routes, minimum 20 km each day, for both days of the walk (with the established exception of walkers older than 70). - The name of the route card must coincide with the name of the IML passport to be stamped. - This documents must be shown individually by each walker in person. - In the IML passport, there must be a photograph sticked. 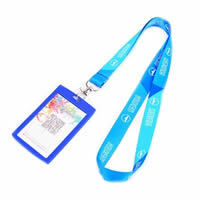 If there's no photograph, walkers must show a personal identity card or passport. The fact to get stamps in the IML passport allows the owner to get several kinds of medals and certificates that the IML has as awards and incentives to the participation to the events that belong to the annual calendar of the IML. In several points of the routes there will be pass and provisioning controls. In some routes there’s no previous registration, or this registration can be made until the very moment of the start, the organization cannot know how many people will participate. For this reason, the distribution of the provisions (solid or liquid) will be made while they are still available. Provisioning service cannot be a substitutive of the nutritional needs of walkers. Every one must foresee their own need of food and drink according to their personal and individual nutritional needs. Apart from drinks, the provions include fruit, chocolate, dried fruit, etc. In any case, they can be considered a lunch, they are just maintenance intakes. There will be health assistance for walkers at the beginning/end of the route and along each one. There will be ambulances, too, to support them. For any incidence, you can phone here: 609 057 181 and 616 672 173. From 2013, the first time a walker participates in the CIB, s/he will receive a medal and an annual bar if s/he has completed 2 routes. In their next participations, they will get the annual distinctive belonging to that year, and their participation will be also registered. Both sides of the annual bar can be adapted to the clothe part of the medal, and in the same medal can accumulate the bars of different years. To collect the medal and/or the annual distinctive, it’s compulsory to show the control form in order to prove to have passed all the established controls. 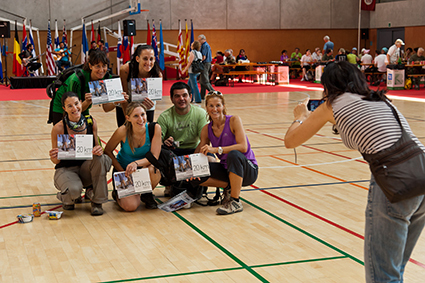 Every day, at the end, all the walkers who have covered the 20 km route or the 30 km route will have a diploma. To get it, it is necessary to hand over the route form with the proves of having been in all the established controls. From 2013, there is this recognition to those walkers who can prove their constance in the participation in the CiB from then on. It does not have retrospective character. 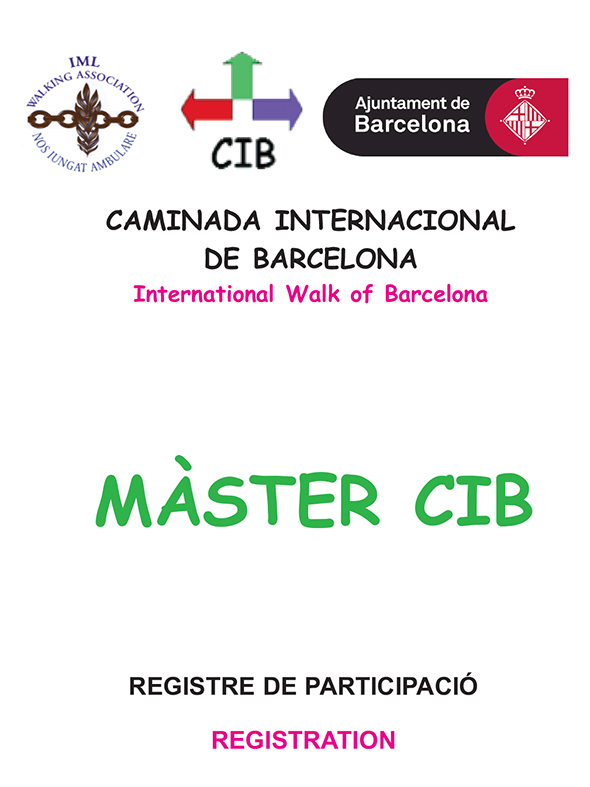 From 2013, when a walker has fulfilled three annual participations, in a row or not, s/he will have the right to get the title of Master CIB. They will get a nominative diploma, with the number of edition, date and the number in the register, singed and stamped by the organization of the CIB in the closing act of every year's CIB. 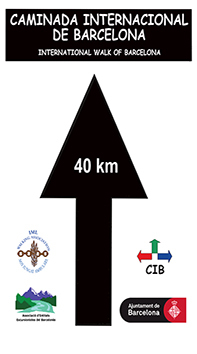 A participation will be to complete a 20, 30 or 40 km route any of both days. To get this personal diploma, it will be compulsory to present the register paper of all the participations, and it must prove that the walker has participated 3 times minimum. There will be a register of the Master CIB titles public through this website. Register Participation.- Those walkers who have walked any of the 20 or 30 km route of any day will get the Register of Participation. To collect this paper, walkers must show their route form with the signs of all the controls of the route walked. This paper will include all the participations of the walker. Start time: from 7am to 8am. Provisioning and pass controls (PPC): Jardins dels Drets Humans (gardens) (8am to 12am), Collserola tower (10am to 2pm), and Turó Putxet park (10.30am to 3.30pm). Route: Auditori del Centre Cívic Cotxeres de Sants, Bonet i Muixí square, Ibèria square, c. Rossend Arús street, Ferreria street, Gayarre street, . Gavà street, la Bordeta street, Espanya square, Reina Maria Cristina av., Magic fountain, National Palace, Estadi av., Olímpic av., Font i Quer street, Verdaguer park, Joan Brossa park, Alcalde balcony, Sea Path, Montjuïc castle, Migdia balcony, Foc street (10 km route separates), Zona Franca av., Foneria street, Jane Addams street, Jardins dels Drets Humans (gardens) (PPC), Radi street, Ciutat de la Justícia, Aprestadora street, Riera Blanca, Canalejas street, Badal av., Brasil av., Carles III av., Maria Cristina square (20 km route separates), Diagonal av., Pius XII square, Pedralbes av., Monastery of Pedralbes, Gaspar Casadó av., Ronda de Dalt, Sant Pere Claver street, Aigües road, stairway of the fountain of El Mont, Vallvidrera road, Collserola tower (PPC), path from Vallvidrera to El Tibidabo, path of Sant Cugat, col of La Vinyassa, road to El Tibidabo, path of Can Borni, Aigües road, Mercè Rodoreda street, Bellesguard street, Sant Joan de la Salle street, Bonanova square, Sant Gervasi de Cassoles street, Castanyer street, Beltran street (20km route reunites), Roma street, Marmellà street, Turó Putxet park (PPC), Agramunt street, Baixada de la Glòria street, Coll del Portell av. 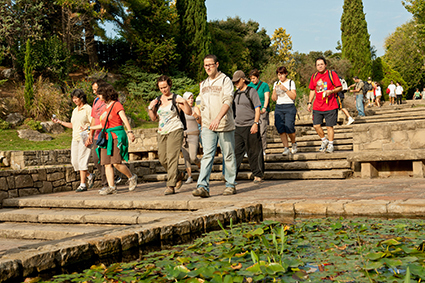 (Güell park), Rambla de Mercedes, Larrad street, Travessera de Dalt, Lesseps square, Príncep d'Astúries av., Gala Placídia square, Travessera de Gràcia, Francesc Macià square, Josep Tarradellas av., Països Catalans square, Joan Peiró square, Sant Antoni av., Sants square and Auditori del Centre Cívic Cotxeres de Sants. Drop profiles of the route. Provisioning and pass controls (PPC): Jardins dels Drets Humans (gardens) (8am to 12am) and Turó Putxet park (10.30am to 3.30pm). Route: Auditori del Centre Cívic Cotxeres de Sants, Bonet i Muixí square, Ibèria square, c. Rossend Arús street, Ferreria street, Gayarre street, . Gavà street, la Bordeta street, Espanya square square, Reina Maria Cristina av, Magic fountain, National Palace, Estadi av., Olímpic av., Botànic park, Migdia av., Can Valero street, Font i Quer street, Verdaguer park, Joan Brossa park, Alcalde balcony, Sea Path, Montjuïc castle, Migdia balcony, Foc street, (10 km route separates) Zona Franca av., Foneria street, Jane Addams street, Jardins dels Drets Humans (gardens) (PPC), Radi street, Ciutat de la Justícia, Aprestadora street, Riera Blanca, c. Canalejas street, Badal av., Brasil av., Carles III av., Maria Cristina Square (30 km route separates), Carles III av., Prat de la Riba square, Ronda General Mitre,. Balmes street, Figuerola square, Beltran street (30 km route reunites), Roma street, Marmellà street, Turó Putxet park (PPC), Agramunt street, Baixada de la Glòria street, Coll del Portell av. (Güell park), Rambla de Mercedes, Larrad street, Travessera de Dalt, Lesseps square, Príncep d'Astúries av., Gala Placídia square, Travessera de Gràcia, Francesc Macià square, Josep Tarradellas av., Països Catalans square, Joan Peiró square, Sant Antoni av., Sants square and Auditori del Centre Cívic Cotxeres de Sants. Provisioning and pass controls (PPC): Camp Municipal de Beisbol (local baseball field) (from 10 to 12am). Route: Auditori del Centre Cívic Cotxeres de Sants, Bonet i Muixí Ibèria square, c. Rossend Arús street, Ferreria street, Gayarre street, Gavà street, la Bordeta street, Espanya square, Reina Maria Cristina av, Magic fountain, National Palace, Estadi av., Olímpic av., Botànic park, Migdia av., Can Valero street, Font i Quer street, Verdaguer park, Joan Brossa park, Alcalde balcony, Sea Path, Montjuïc castle, Migdia balcony, Foc street, (20 and 30 km routes separate), Pierre de Coubertain street, Camp Municipal de Beisbol (local baseball field) (PPC), Estadi av., Anella Olímpica, Estadi av., Muntanyans av., Sant Jordi square, Ferrer i Guardia av., Mèxic street, carretera de la Bordeta, Sant Roc street, Creu Coberta street and Auditori del Centre Cívic Cotxeres de Sants. Pass and revictualling controls (PPC): Pl. de la Vinya (Volpelleres, Sant Cugat) (07:30 – 09:30 h), Vallpineda (Modolell av.) (08:30-12:30 h), Santa Creu d'Olorda (09:00-12:30 h), and Mireia sq. (10am to 4.30pm). Route: Sant Antoni av/Alcolea st (neutralized section by bus), Estació de les Fonts sq., Mossèn Perramon st., BP-1503, Rambla de les Font, Gran sq., Camí de Can Corbera, torrent of Can Corbera, Camí dels Monjos, C-1413a, Can Barata housing, path from Sabadell to Rubí, industrial place of Can Graells, Recerca sq., Generalitat av., Xavier Cugat sq., Alcalde Barnils av., bridge over the railway, Via Augusta, Bellaterra st., railway station of Volpelleres, Vinya sq. 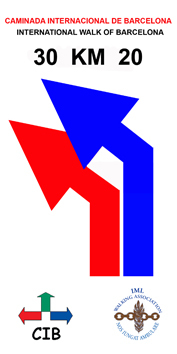 (CPA), Graells av., Rius i Taulet av., Creu av., Sant Domènec st., Pere Sant sq., Major st., Sant Cugat del Vallès (Octavià sq.) (Meeting point with the 30 km route), Sant Medir st., Rambla del Celler, Sant Bonaventura st., Valldoreix st., Canal de la Mànega st., Golf de Venècia st., Estret de Gibraltar st., Colònia Duran (colony), Til·lers av., Emeteri Escudero av., Pont del Diari sq., Diputació st., Dr. Villar sq. (La Floresta), Bonavista st., Centre sq., Mare de Déu de Montserrat av., Mines av., Sant Antoni st., Santa Maria st., Modolell av. (Vallpineda) (CPA), Modolell av., Can Modolell, torrent of Vallvidrera, Can Calopa de Dalt, col of turó d'en Serra, Santa Creu d'Olorda (CPA), Bisbe tower, torrent of la Salut, Can Vilà, Mireia sq. 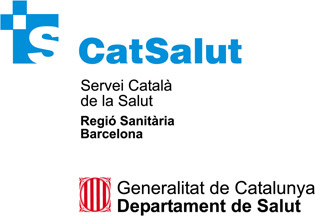 (CPA) (Meeting point with the 20 km route), Hospital Sant Joan de Déu, Cervantes park, Diagonal av. 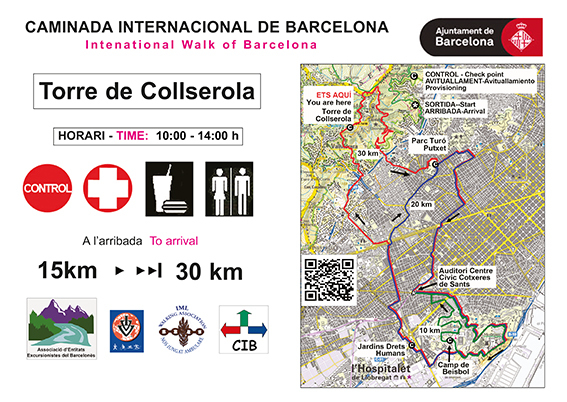 (Meeting point with the 10 km route), Gregorio Marañón av., Palau Blaugrana, Arístides Maillol st., Riera Blanca st., Sants st., Creu Coberta st., and Auditori del Centre Cívic Cotxeres de Sants (#). Provisioning and pass controls (PPC): Vallpineda (Av. Modolell) (08:30-12:30 h), Santa Creu d'Olorda (09:00-12:30 h), and Mireia sq. (10am to 4.30pm). Route: Sant Antoni av./Alcolea st. (neutralized section by bus), Lluís Millet sq., railway station of Sant Cugat del Vallès, Lluís Companys av., Dr. Galtés sq., Santa Maria st., Santiago Rusiñol st., Sant Cugat del Vallès (Octavià sq.) (Meeting point with the 30 km route), Sant Medir st., Rambla del Celler, Sant Bonaventura st., Valldoreix st., Canal de la Mànega st., Golf de Venècia st., Estret de Gibraltar st., Colònia Duran (colony), Til·lers av., Emeteri Escudero av., Pont del Diari sq., Diputació st., Dr. Villar sq. (La Floresta), Bonavista st., Centre sq., Mare de Déu de Montserrat av., Mines av., Sant Antoni st., Santa Maria st., Modolell av. (Vallpineda) (CPA), Modolell av., Can Modolell, torrent of Vallvidrera, Can Calopa de Dalt, col of turó d'en Serra, Santa Creu d'Olorda (CPA), Bisbe tower, torrent of La Salut, Can Vilà, Mireia sq. (CPA) (Meeting point with the 20 km route), Hospital Sant Joan de Déu, Cervantes park, Diagonal av. (Meeting point with the 10 km route), Gregorio Marañón av., Palau Blaugrana, Arístides Maillol st., Riera Blanca st., Sants st., Creu Coberta st, and Auditori del Centre Cívic Cotxeres de Sants (#). Provisioning and pass controls (PPC): Josep Vicenç Foix ave (9am to 12am), and Mireia square (10am to 4.30pm). Start time: from 9am to 9.30am. Approximate length: 3 hours . 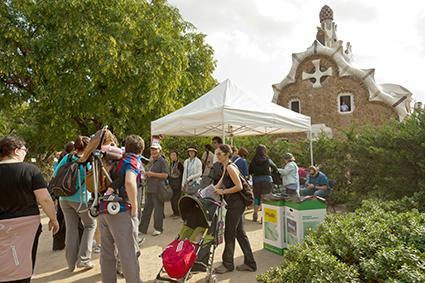 Provisioning and pass control (PPC): pavilions of Güell tower (10 to 12am). Route: Auditori Centre Cívic Cotxeres de Sants, Bonet i Muixí square, Olzinelles street, Sants square, Sant Antoni av., Joan Peiró square, Països Catalans square, Roma av., Mallorca street, Passeig de Gràcia (la Pedrera), Diagonal av., Francesc Macià square, Diagonal av., Sarrià av., Prat de la Riba square, Manuel Girona street (20 km route separates), Pavellons de la Torre Güell (PPC), Jordi Girona street, Exèrcit street, González Tablas street, Diagonal av. (20 and 30 km routes reunite), Gregorio Marañón av., Palau Blaugrana, Aristides Maillol street, Riera Blanca street, Sants street, Creu Coberta street and Auditori del Centre Cívic Cotxeres de Sants. Marks will be ARROWS and PLASTIC BANDS. In those sections placed inside the Parc Natural de Collserola, marks will be found in metallic signs in the posts of the park. 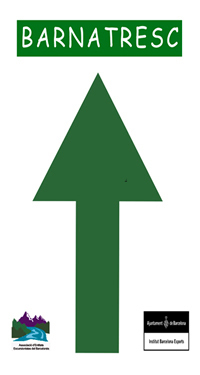 The image of those signs is the same or very similar to the arrows, but smaller, adapted to the size of the signposts. In the pass and provisoning con-trols there will be posters that will inform walkers where are they and the distance left to the end of the route, the services available in that control and a map with its placement. 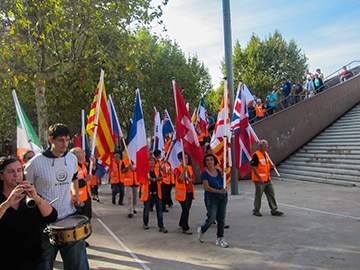 The Flag Parade will take place on October 4th, at 4pm in the Joan Peiró square, and will go to the Auditori del Centre Cívic Cotxeres de Sants, 79 Sants street. It will reach the sports centre at 4:15pm aprox. The official Opening of the CIB will take place in the Auditori del Centre Cívic Cotxeres de Sants, 79 Sants street, Barcelona (Metro L1 and L5 Plaça de Sants), at 4.30pm, in which Cor Tessàlia will act. The Walk Party will take place at the end place, Auditori del Centre Cívic Cotxeres de Sants, from 12am to 2pm on October 5th and 6th. The Closing Act will take place again in the Auditori del Centre Cívic Cotxeres de Sants, on October 6th, after the Walk Party.